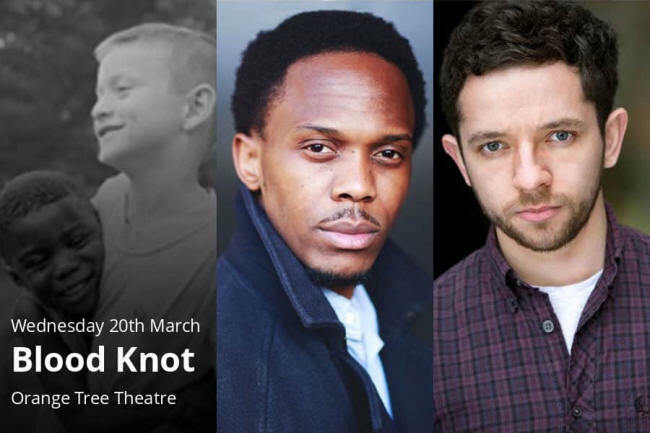 Orange Tree Theatre present Blood Knot from 8 Mar -20 Apr 2019. Nathan McMullen plays Morrie and Kalungi Ssebandeke plays Zach. The director is Matthew Xia. "It’s been a year since Morrie returned to Port Elizabeth to live with his brother Zach. They share childhood memories of their mother, yet have wildly contrasting life experiences due to their different fathers. As things get complicated, the stakes rise: can they free themselves from the enduring prejudices provoked by the different shades of their skin? ".